Members of US Special Forces providing battlefield information; no boots on the ground. 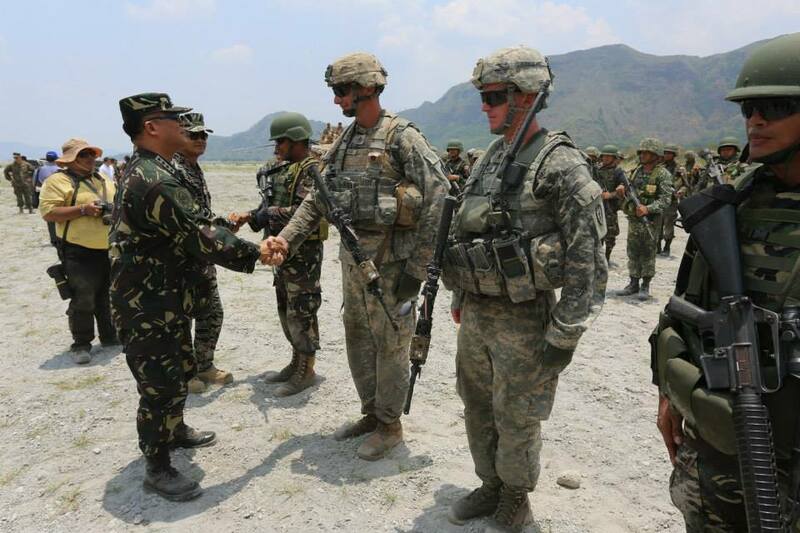 FILE PHOTO: Members of the Philippine and US military during Balikatan 2015. We near the one-month mark for the ongoing armed conflict in Marawi City, Lanao del Sur—between government security forces and the Maute Group. Martial law remains in effect as the fighting continues to rage between our troops and militants—a face-off that is being considered as the gravest attack in Southeast Asia by Islamic State-aligned fighters. More than 200,000 residents of Marawi, a predominantly Muslim city, have been displaced. Civilian survivors have been sharing their stories of the conflict, when they can—those who have fled to evacuation centers share images of the city they’ve left behind: Dead citizens littering the streets, their corpses being feasted on by dogs. More recently, media has reported that an estimated one hundred bodies—of members of the Maute Groupe and of civilians—remain unretrieved in the thick of the fighting zone. Officials report that the death toll has amounted to: 202 gunmen, 58 soldiers and policemen, and 26 civilians dead. Padilla clarified that the members of the US military are not engaged in the fight directly: “I do not know the exact number and the specific mission. 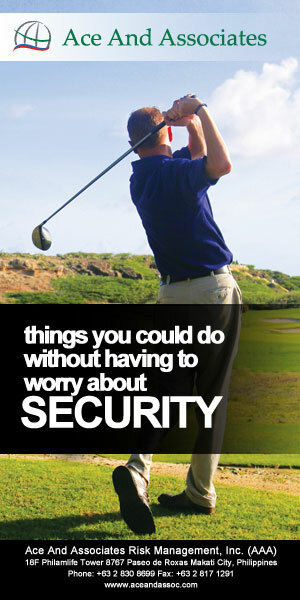 They are allowed to carry rifles for self-defense. But they are not allowed to fight. They only provide support.” Padilla explained that the machinery the US troops were operating—which the spokesperson could not disclose—was one not available to PH military, although plans are in motion to increase the AFP’s capability regarding situation awareness in the battlefield. An anonymous US official in Washington said that the United States was providing a P-3 surveillance plane as well as intelligence-gathering from a drone. That drone crashed last week after it lost communication links with its operator, the official said. The US troops had been assisting the AFP Western Mindanao Command (Westmincom) in fighting members of the Abu Sayyaf Group, before they were deployed to Marawi to assist in the fight against the Maute terrorists. This assistance was under the Mutual Defense Board-Security Engagement Board, created through the 1951 Mutual Defense Treaty. When asked about photos circulating online of armed Caucasian men wearing civilian clothes in Marawi, Padilla reaffirmed the US troops’ lack of firsthand involvement in the battlefield, but that they have been permitted to carry rifles as self-defense. During a press conference on 11 June 2017 in Cagayan de Oro, President Rodrigo Duterte said that he had not been aware that the United States had any involvement in the resolution of the Marawi siege until they arrived, and that he had “never approached any American” for any assistance. However, the President reluctantly expressed his gratitude for the troops—“Nagpapasalamat na rin ako, nandiyan na rin.”—before insisting that Philippine forces are more than capable to handle the situation in Marawi. Defense Secretary Delfin Lorenzana, standing beside the President at the press conference, took a crisis management course at the US State Department and served as defense attaché to the US from 2002 to 2004. Lorenzana was likewise instrumental in cultivating military bilateral relations between the Philippines and the US: He helped develop the terms of reference for the Balikatan exercises between the military forces of the two countries. Last September 2016, President Duterte threatened the cessation of joint patrols and military exercises in the West Philippines Sea, and that the US Special Forces stationed in Mindanao would have to leave—with a promise that the government would review its policy of allowing American forces to combat terrorist groups in the island. The US and PH have worked closely together for decades, primarily combatting insurgency in Mindanao, and have harnessed better coordination and interoperability because of this. The 33rd iteration of the Balikatan Exercises for Luzon and Visayas, however, pushed through last May.